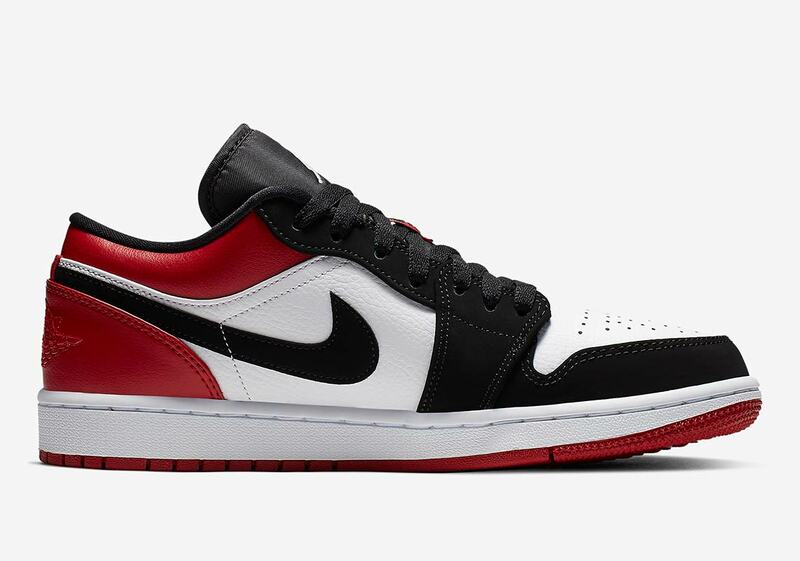 Jordan Brand’s got a handful of Air Jordan 1 Low colorways ready to go for the impending spring/summer season, and the classic “Black Toe” will be among their ranks. 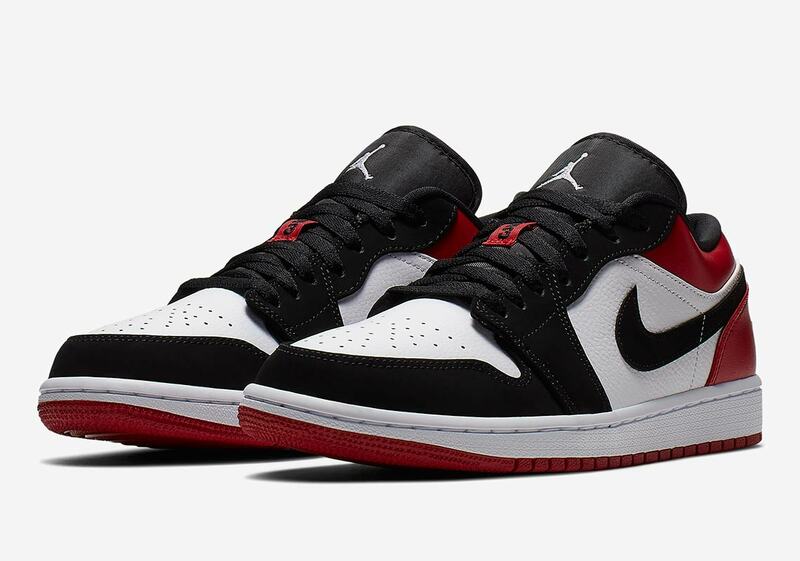 As one of the 10 original Air Jordan 1 High colorways to release in 1985, the “Black Toe” has always been immensely popular, and this new 1 Low keeps most of the OG detailing intact — but does add a few small tweaks. 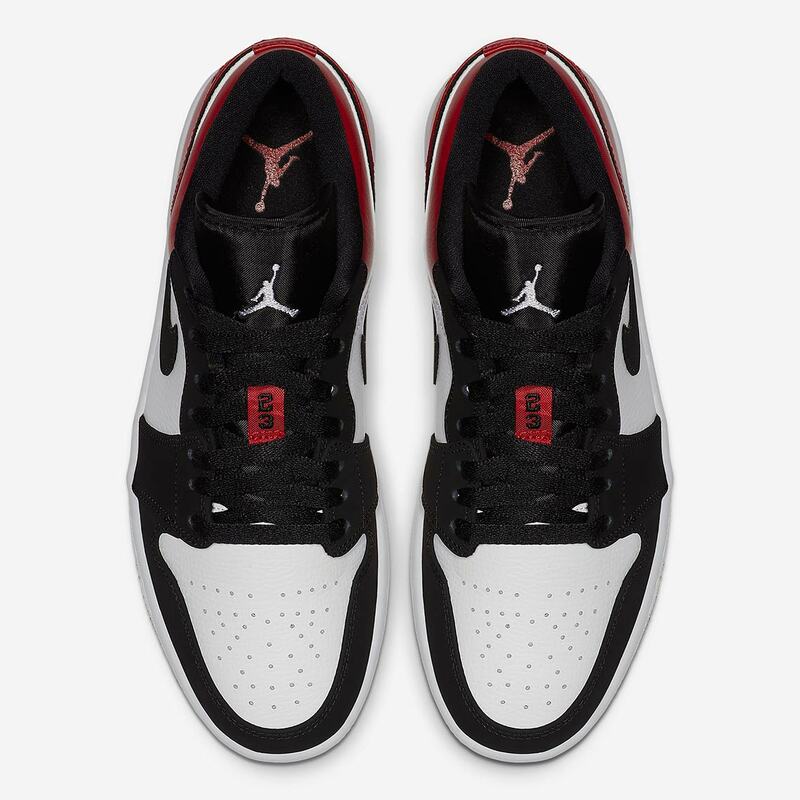 White leather is used as the base, while a combination of red leather and black nubuck — in place of the standard black leather used on the high-top version — provide accents. 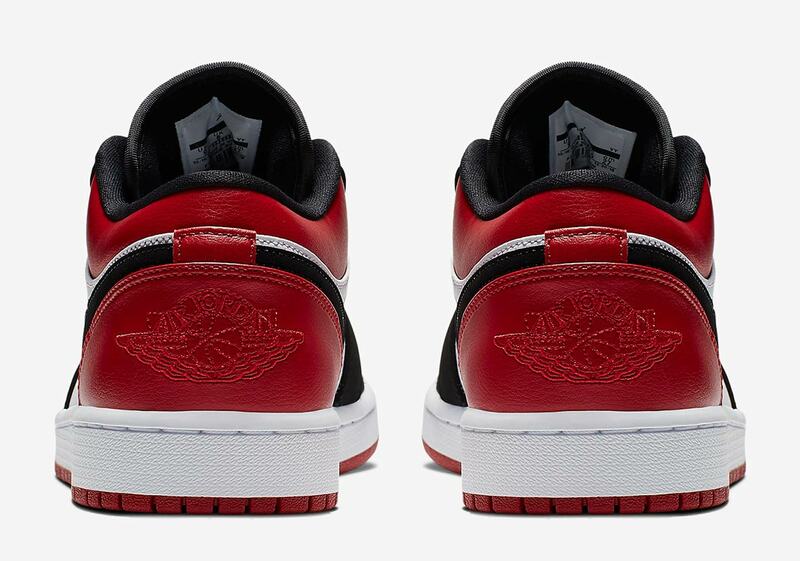 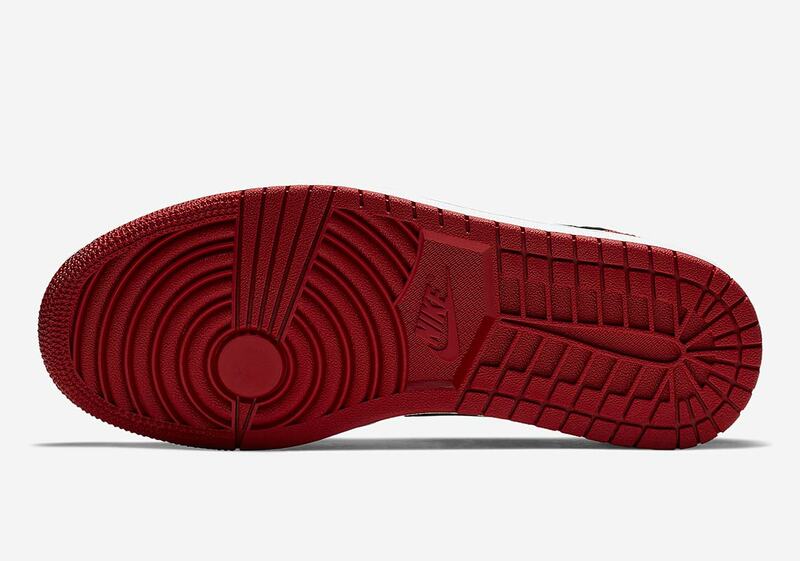 There’s a few alternate branded hits present as well: a white Jumpman logo appears on the black tongue, a tonal stitched ball-and-wings logo graces the heel, and the tongue’s lace holder offers an extra hit of gym red. 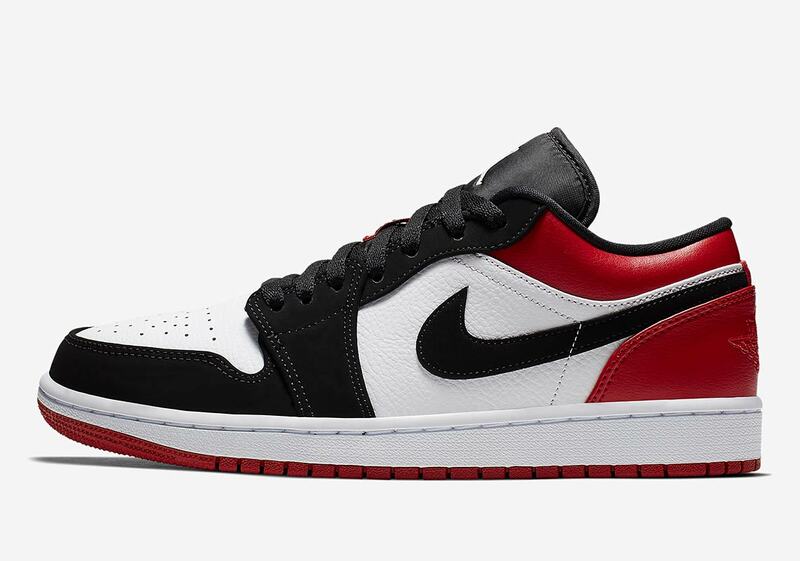 A summertime necessity for any low-top AJ1 lover, you can grab these Black Toes to release at the stockists listed below in the coming weeks for $110 USD.